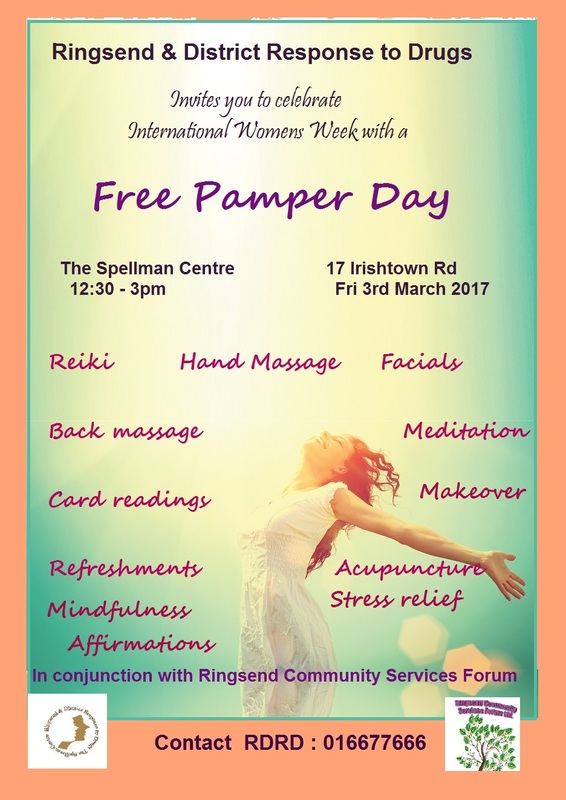 Yes it’s that time of the year again, International Women’s Week is fast approaching and to celebrate, the good folk over at the Spellman Centre in Ringsend are offering a range of free (yes free!) treatments as part of their pamper day celebrations. And sorry guys, you’ll have to wait for International Men’s Week (if such a thing exists) as this particular treat is reserved for those of the female persuasion only. The event takes place tomorrow, Friday 3rd March from 12.30pm to 3pm so call ahead to avoid disappointment. Some of the relaxing therapies on offer include Reiki, Back Massage and Acupuncture. Refreshments will be provided on what promises to be a stress free day of chillaxing. Enjoy!